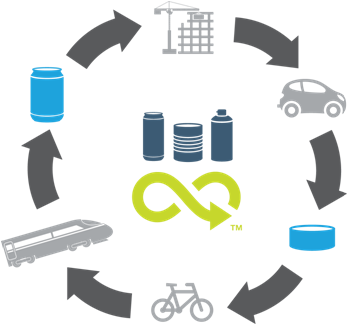 The Circular Economy Package is crucial starting point for a successful transition to a circular economy, in which the value of products, materials, and resources is maintained in the economy for as long as possible. The new legislation represents a fundamental paradigm shift in packaging policy. The focus is no longer on renewables or resource efficiency, but on achieving a circular economy. Just reducing the weight of packaging is no longer considered packaging waste prevention. Instead, there is a push for packaging materials that are effectively recycled. Mono-material packaging, like metal, is perfectly placed to meet the new requirements. "Environmental protection is the future." 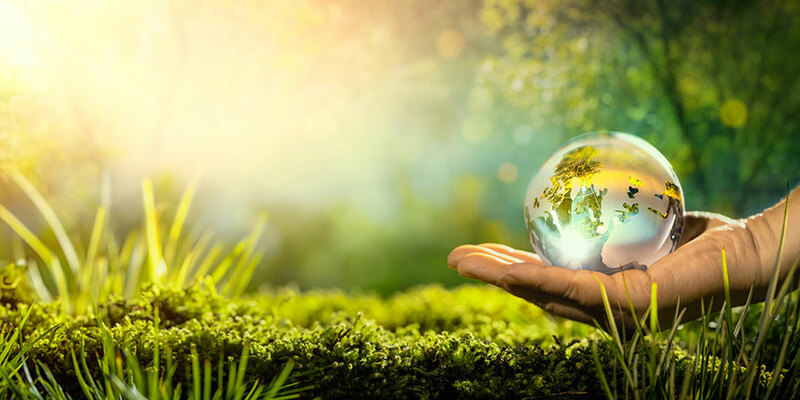 Protection of the environment is, to use resources and energy more efficiently, reduce waste and improve the recovery of the materials used more and more - in short, to use all resources responsibly. We face this challenge as an industry and as a responsible company. With a recycling rate of 77.5%, metal packaging in Europe again achieved a much higher recycling rate in 2015 than any other packaging. (Source: APEAL) The quota of 77.5% corresponds to more than 2.5 million tonnes of recycled material, resulting in a 49% reduction in CO2 emissions! The more metal packaging recycled, the more CO2 emissions are saved. The properties of steel (tinplate) make this material the recycling champion. Tinplate packaging is magnetic and can be easily and inexpensively separated from the waste. Steel and tinplate can be recycled any number of times without loss of quality. Once produced steel (tinplate) is permanently preserved / available, no matter what is produced from it. The fallow initiative "Metal recycles forever" or "Metall - Recycling ohne Ende"
A Europe-wide initiative to help consumers understand the recycling potential of metal packaging. Since the beginning of this year, product manufacturers have been able to apply the new "METAL recycles forever" or "METAL - Recycling ohne Ende" recycling labels to their metal product packaging, demonstrating their commitment to a resource-efficient circular economy, relying on packaging that includes them. At the same time, the logo appeals to consumers to take action themselves and to close the cycle.